MESQUITE, Nev. – Tom Whitney, who attended the Air Force Academy from 2006-2009 and was on active duty through May 2014, returned to Mesquite, Nevada, this week for the 2015 Nevada Open and finished one spot better than he did in 2014. Whitney lost to Seann Harlingten in a playoff in the 2014 tournament. Whitney finished at 14 under par this year to win by two strokes over former University of Nevada, Las Vegas golfer Kurt Kitayama. The 2014 champion, Harlingten, from West Vancouver, British Columbia, finished in a tie for third with Matt Miller, from Bloomington, Illinois, at 11 under par. “Coming back here for the second year in a row and after what happened last year makes winning a little more special,” said Whitney, who won four collegiate tournaments while playing for the Air Force Academy. “I birdied four of the first five holes of the final round, and that really put me in a great position to win. Obviously, the birdie on the last hole was important, as well, but the fast start was the key. Jose Pelayo, a senior on the University of Utah golf team, was the low amateur with rounds of 72-77-149. He didn’t make the cut to the final round. All scores and information are available on the Nevada Open website. Whitney began the final round two strokes behind leaders Miller and Jeffrey Kang, from Buena Park, California. Kang struggled to a final round of even par and was the only player among the top 15 finishers who didn’t finish with an under par score in the final round. Miller shot 1-under-par 71 in the final round. The final round was played at CasaBlanca Golf Club. The Nevada Open is one of the most historic golf tournaments to be held annually in Nevada. The total purse for 2015 was $125,000, the largest amount in history. The event has been played for more than 40 years and includes such former champions as PGA Tour winners Robert Gamez and Tom Lehman, and former Nike Tour tournament winner and current Butch Harmon School of Golf teaching professional Vic Wilk. Another former champion is Kevin Penner – now a PGA TOUR player – who won the Nevada Open in 2012 while still an amateur and playing at national college powerhouse UNLV. 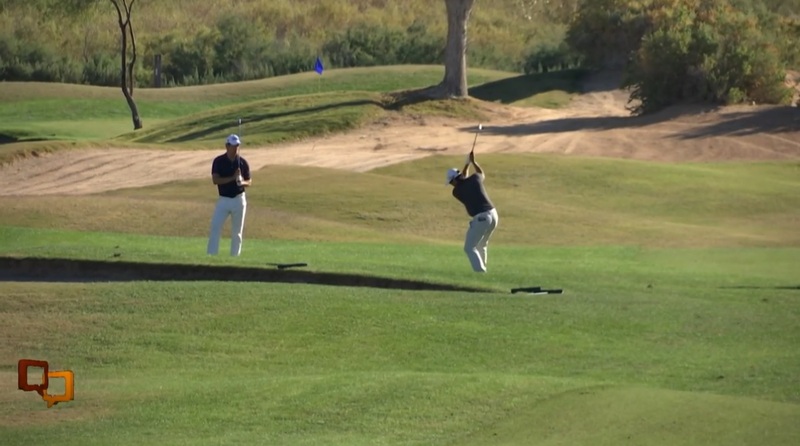 For the first time, Nevada Open week included a pro-am prior to the professional competition. The event raised $1,000 for Mesquite Junior Golf, which will go toward growing the sport among youngsters in the Mesquite area. The Nevada Open is sponsored by Mesquite Gaming and The Mesquite Resort Association. Mesquite Gaming owns and operates the CasaBlanca Resort and Casino, Virgin River Hotel and Casino, CasaBlanca Golf Club and Palms Golf Club. The Mesquite Resort Association is comprised of the CasaBlanca Resort and Casino, Eureka Casino and Resort and the Virgin River Hotel and Casino.